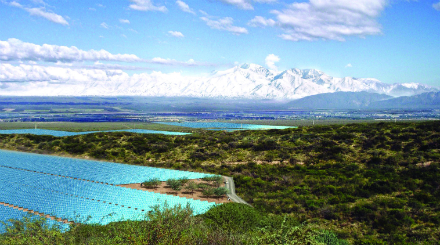 Verano Capital, an American project developer headquartered in Chile, won 18% of the solar capacity available at the Argentinian energy auction in November with its 100 MW VeCaSo-1 solar project. energy auction 2 weeks earlier, when it was announced that the 47 MW solar project they initially developed had been selected with a winning bid of $25.38/MWh, the lowest 24/7 block price combining solar and wind ever recorded in the history of energy tenders. The winning bid was offered by a solar project which will be coupled with wind projects to offer a 24/7 supply over a 20-year period. The VeCaSo-1 100 MW project is set to be completed in 2019 and will run on a 20-year ‘take-or-pay’ power purchase agreement. Within this PPA framework, the generator takes on the production risk, with its plant expected to deliver power on a must-run basis. CAMMESA, Argentina’s national utility company, must then integrate all of the plant’s output, or remit compensatory energy payments if it fails to do so. Argentina is one of the largest power markets in South America, but it suffers from a significant power deficit. It is planning on reaching 20% of renewable energy generation by 2025, which will require the addition of 10 GW of new capacity. In 2015, the government introduced the RenovAr auction programme to scale up Argentina’s renewable energy uptake through yearly tenders. RenovAr launched its first tender to select 1100 MW of renewables projects in May 2016. In this second round, the tender has awarded 1.2 GW of projects, 450 MW of which are solar PV.